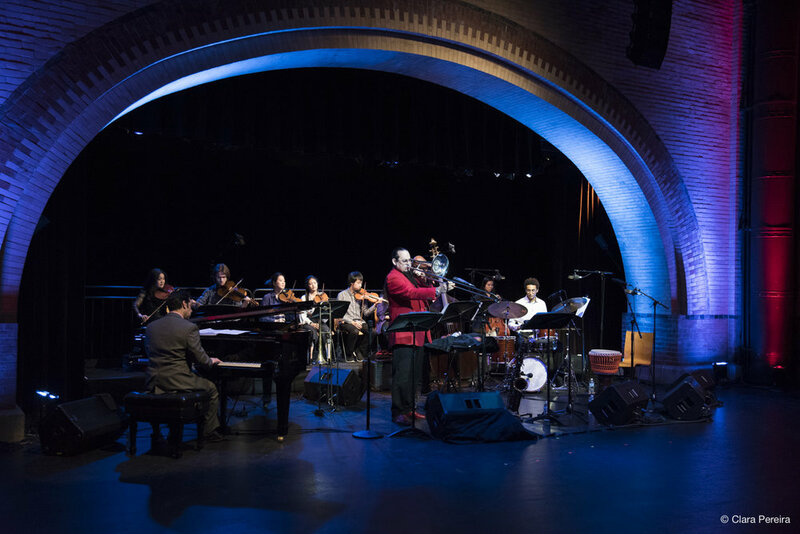 World-class jazz trombonist Steve Turre took his quintet - Ron Blake on saxophones, Oscar Perez on piano, Gerald Cannon on bass, and his son Orion Turre on drums - to Harlem Stage, a performing arts center that bridges Harlem’s cultural legacy with visionary contemporary artists of color. 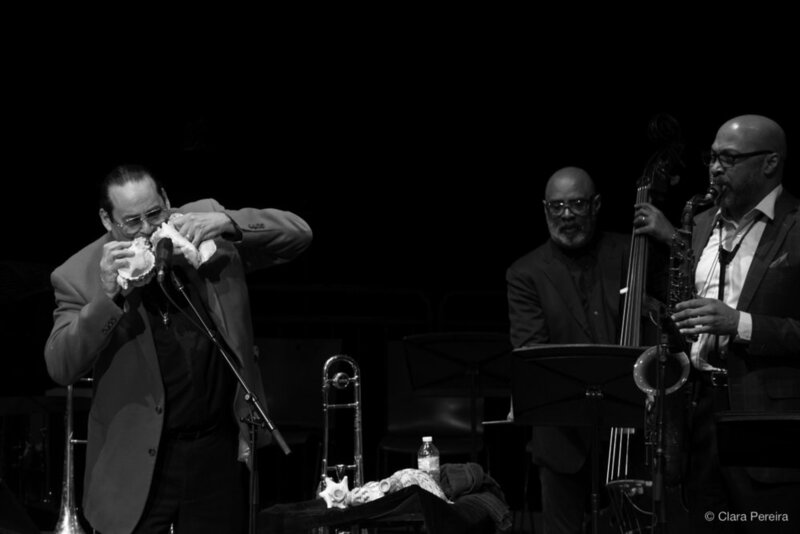 After the incredible musical moments, the audience could hear Turre in conversation with trumpeter Christian Scott aTunde Adjuah in the context of Jazz Then and Now, a conversation series presented as part of the Stretch Music Residency. The trombonist elucidated us on how he started to play his main instrument and how he got into these ancient and very musical seashells, which he plays so magnificently. Other topics addressed included the strong musical bond with saxophonist Rahsaan Roland Kirk, the generational differences in jazz music and the possible evolution/decline of the genre, and the influence of Latin sounds in his music. Turre picked two extremely beautiful ballad standards to open the show - “The Very Thought of You”, which lent its title to his latest album, and “Never Let Me Go” were carried out in quartet and quintet formats, respectively, both enjoying the sweet backgrounds and fills offered by an 8-piece string ensemble from Manhattan School of Music. Marty Sheller did the arrangements. Written after an intense concert in Pretoria, South Africa, “Freedom Park, SA” completely shifted the earliest soft mood. The rhythmic wallops of guest percussionist Abdou M’Boup and the improvisational force of Christian Scott, who also joined the band, took us to another dimension beyond the jazz universe. Motivated by swift inside/outside moves, Blake showed some Coltranean influence on the soprano, while Turre blew seashells from various sizes for a staggering timbral effect. The adventurous Perez also explored different sounds, bursting and bouncing with joy and polyrhythmic fervor, and the tune ended as it had started, with trombone and percussion. Following “Blackfoot”, an uptempo ride written for the drummer and based on the harmony of “Cherokee”, we had the privilege to hear a nearly 18-minute rendition of Miles Davis’ “All Blues”, with the guests on stage and another fantastic demonstration of shell playing by master Turre. The awesome space, inspiring music, and engaging conversation helped to make the night feel like an exceptional lesson in jazz.